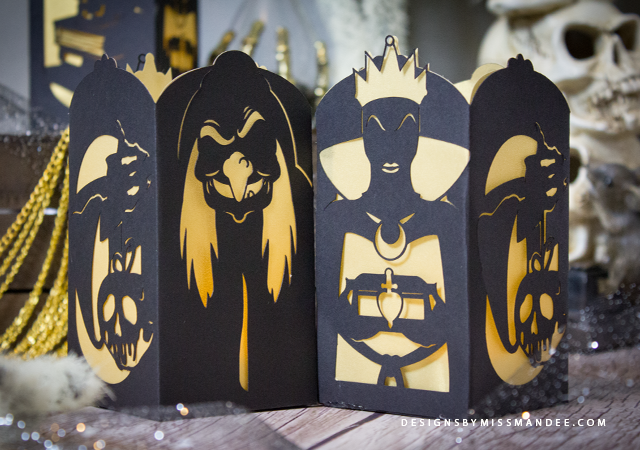 The final installment of my Disney Villain paper lantern series is here! Today’s vengeful villain is the original evildoer of Disney—the first of her ilk. 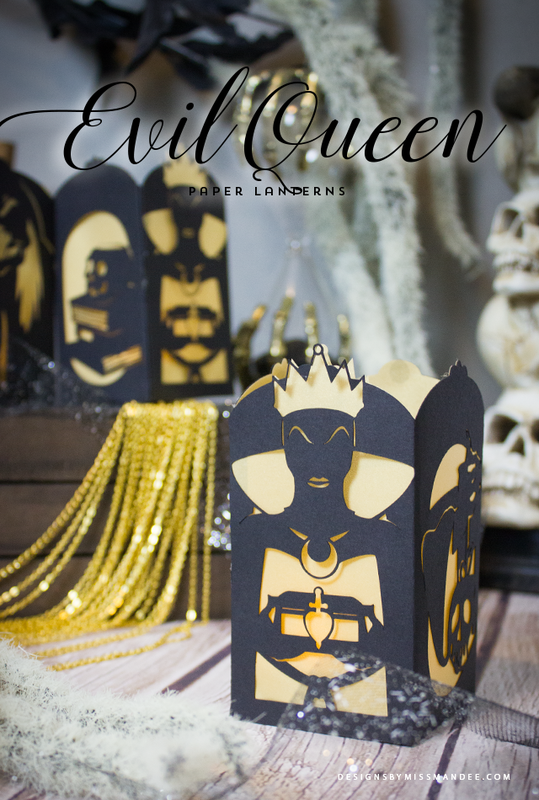 Look out for those pernicious poison apples: it’s time to round off your contemptible collection with this rancorously ravishing Evil Queen paper lantern. 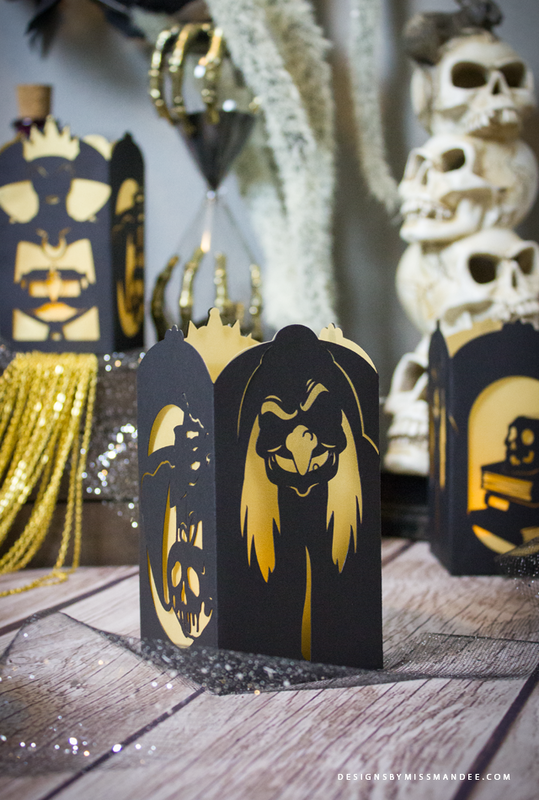 Be sure to check out my other Disney paper lantern designs in this series! Watching Snow White is an unforgettable experience as a child…mostly because it’s terrifying! Seriously, this movie has no shortage of nightmare-inducing scenes: from Snow White being chased by a hunter trying to rip out her heart, to the trees in the woods becoming horrible monsters, to the queen turning herself into a terrifying witch. The scene that takes the cake (in my opinion), though, has to be when Snow White is in the cottage, and the Evil Queen (in witch form) is suddenly right there—peeking her hideous face into the window. But, Walt Disney believed that kids were capable of handling scary themes in movies. Despite the nightmares she gave us as children, the Evil Queen has still managed to find a way into our hearts. So I suppose Disney was right. 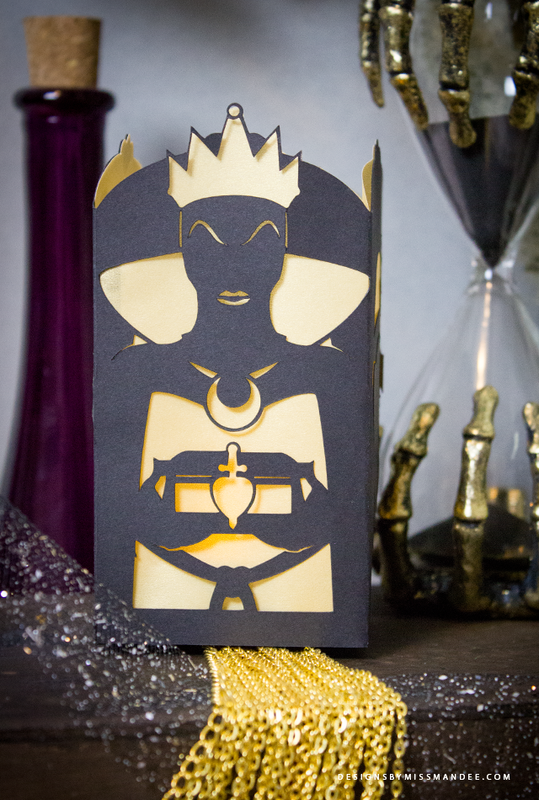 My favorite part of this Evil Queen paper lantern has to be the poison apple! I’ve been wanting to make a paper cut design including that motif for a while now. I restrained myself when designing my Snow White paper lantern only because I knew I’d be making this design in a few shorts months. These villain lanterns are the first ones I’ve ever used colored vellum with, and I couldn’t be happier with the results. Also, I tried out the new Cricut Premium Fine-Point Blade on these lanterns, and, holy crap, that thing is amazing—my cuts were SO smooth! And there you have it! I hope you’ve enjoyed my Disney Villain paper lantern series! It’s been a lot of hard work, but I couldn’t be happier with the results. 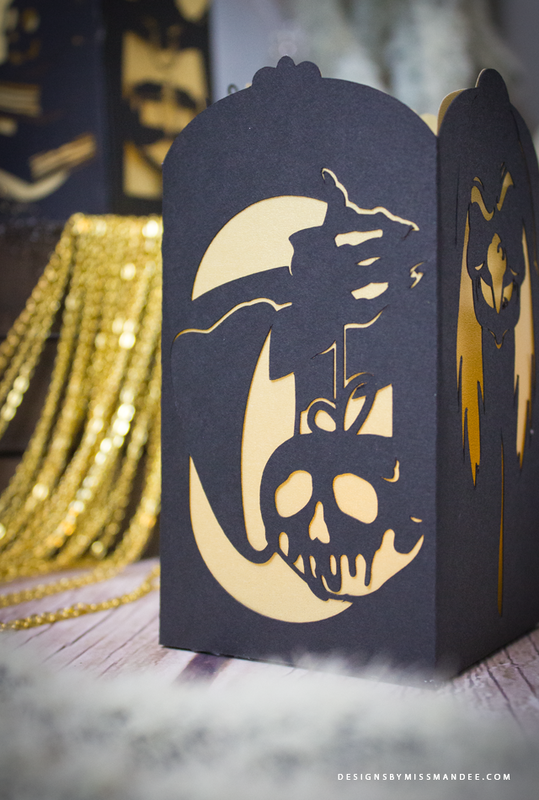 Put my magnificently malevolent Evil Queen paper lantern to good use, and have a happy Halloween! *This post contains affiliate links, and I will be compensated if you make a purchase after clicking through my links. Love your designs!! Where do you get your vellum from? Is the vellum/liner part needed or can the lanterns be made without them? Like is the vellum more of an accent or is it a necessity? I love all the lanterns you have created. I’m waiting on some Moana art! It’s my daughters favorite right now. I love your designs and have used them for my family and grandkids. I am looking for your evil queen lantern file. It appears to be the same file with 2 different names.The Download above is the Snow White Lantern. Could you please send me the link? If you’re still having trouble, I might suggest clearing your browser cookies/history or trying a different browser. If it’s still giving you a hard time after that, let me know. I love these !! What candles did you use? I just made the jafar snake with red vellum and the amber tea light makes it look amber rather than red.